How Japan will stop the Yakuza from infiltrating their casinos! The Japanese government has scored a major win with the legalisation of casinos in integrated resorts, but the perils of infiltration by the Yakuza are still present. Since December 2016 casinos have technically been legal in Japan, but the laws for how they’ll be incorporated into Japanese society have only recently passed the National Diet (the upper and lower houses of the legislature). Existing only as an added element to an integrated resort, the intention is to boost tourism without having a negative effect on the population at large. The predicted profits are staggering, with most conservative projections suggesting figures between $10 billion and $30 billion a year, though online sites like Betfair Casino will still be illegal. With these predictions it’s no surprise that the government has been enthusiastic about getting the legislation approved. Unfortunately, gambling has a poor reputation in Japan. While legal forms such as pachinko and betting on races are still allowed, there’s been a history of scandals where the Yakuza, the organised crime group of Japan, have been making money from these institutions. This poor reputation is likely to be the reason why there are many local Japanese who are not in favour of the new developments. The government is taking steps in order to prevent the Yakuza from infesting the burgeoning new casino industry, but will it be enough? For as long as gambling has been illegal, the Yakuza have had a hand in things. Whether they run the pachinko parlour in secret, or they loan-shark the cash you use to play, the Yakuza have always lurked at the fringes of any gambling business in Japan. It’s no surprise then that the Yakuza have been quite vocal in their intentions to gain a foothold in the new integrated resorts plans. While the clearest route would be to apply for a license directly so that they could own a 100% share in the casino, they’re not all that likely to be successful due to the far higher level of scrutiny. So, it’s more likely they will try and infiltrate through the construction industry. While still scrutinised, there’s a far greater chance of being signed off as a sub-contractor than of winning a contract alone. If they are discovered to be using the Yakuza as a workforce, it’s quite possible that the owners would be blackmailed by the crime syndicates with the threat of exposing their own previous partnership. Other methods that are likely to be employed include providing hotel accommodation for VIPs as well as lending money to VIP gamblers with exorbitant interest rates attached, a fairly standard loan shark operation for the Yakuza. They might also attempt to infiltrate the casino with a crooked dealer who can guarantee a certain patron will win more often than they should. But perhaps the most likely method is going to be to establish their own illegal casinos, as they have been doing in Osaka recently. It’s no co-incidence that one of the front-runners for a casino license is being targeted by these illegal ‘internet casinos’. The Yakuza hope that once someone begins to gamble they will become addicted and seek to play more and circumvent the government’s measures to curb gambling addiction. So, with these problems stacked against them, how is the government rising to the challenge? 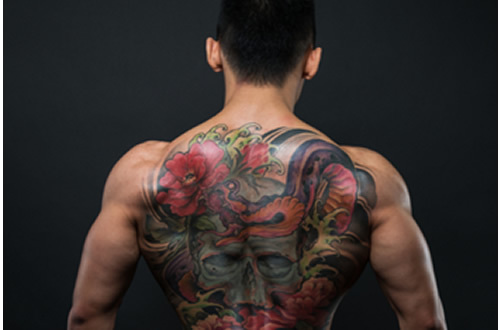 The government’s efforts to address the Yakuza’s schemes have been focused around their core requirements for each integrated resort and by setting the bar for entry as high as possible. 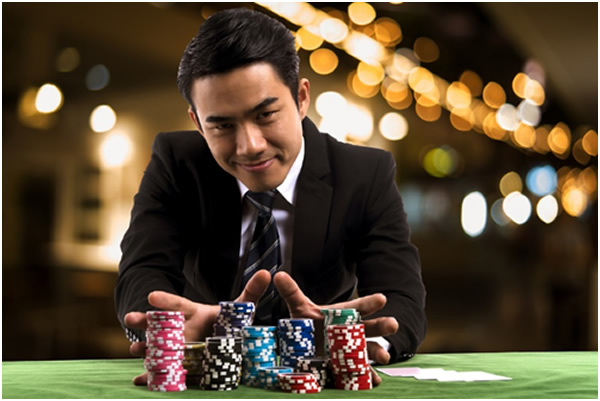 The core regulations limit the potential for casino growth, with only a certain percentage of floorspace available for the casino and a requirement that any integrated resort has an expansive range of features including a convention centre and hotels. These limitations, amongst others, are modelled on the successful implementation of these resorts in Singapore with minimal interruption from organised crime. To prevent the Yakuza from attempting to gain a foothold in the industry by way of subterfuge, the Japanese government has decreed that fraudulent casino bids will lead to a ¥5 million fine for anyone who attempts to trick the authorities. This hefty fine is more likely to be a deterrent for the companies who will be sub-contracting rather than aimed at the Yakuza themselves: it provides an incentive to be as meticulous and thorough as possible when vetting applicants. The government also plans to introduce an ‘oversights committee’ in order to make sure that the rigorous tests that companies must pass before being granted a license are met. This is all being put in place with the intention of ensuring that the new casinos meet the highest standard possible and are enough to tempt the rich VIP tourists away from playing their reliable mobile casinos and into the newly built integrated resorts, as well as ensuring that the Yakuza are kept far, far away from the new industry. What do you think? Is the Japanese government doing enough to address this problem? Tell us in the comments below!